Wingspan 8 mm to 10 mm. 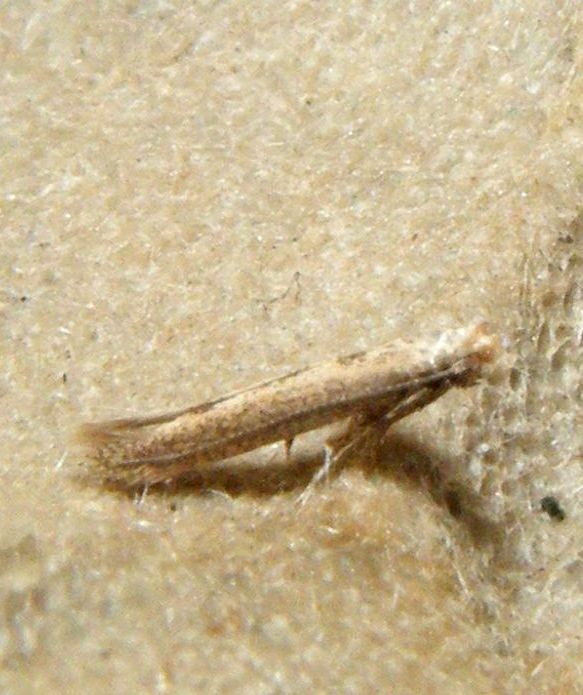 A plain looking micromoth with a pale mottled brown appearance. Various habitats, especially where the larval foodplant is found. The adults occur in two generations; in August and October to May, being 'somnolent' in the winter months. The distinctive larva feeds on bindweeds mining the leaves. Widespread in southern Britain, but it is subject to huge fluctuations in numbers. 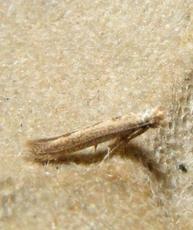 In the Butterfly Conservation’s Microlepidoptera Report 2011 this species was classified as local. It seems to have become more frequent recently in Leicestershire and Rutland although it is often the larval leaf mines that are recorded. Fairly frequent but not common in Leicestershire and Rutland. L&R Moth Group status = B (scarce resident or restricted distribution or regular migrant).